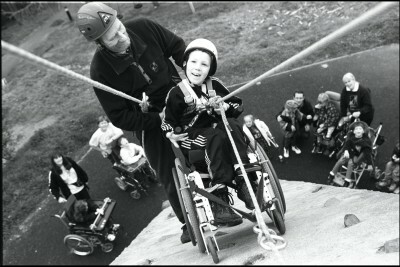 Supporting disabled people achieve through adventure for over 30 years. Bendrigg Trust was formed in 1978 and since that time we have supported over 79,000 disabled and disadvantaged people from across the UK. John and Mary Kinross start the Mary Kinross Charitable Trust (MKCT) to support ‘whole projects’ and not just ‘write cheques’. The MKCT were interested in the work being done by ‘Six Circle Camps’ in Scotland who were taking groups of trainees from ‘borstal’ to Iona, to camp with and assist groups of people with disabilities. With the intention of progressing these ideas; the MKCT purchased Bendrigg Lodge, an old hunting lodge in rural Cumbria, in 1976. The Voluntary Services Unit (VSU) of the Home Office made a commitment to fund the running costs for three years while the MKCT was to provide the capital to purchase and adapt the building. 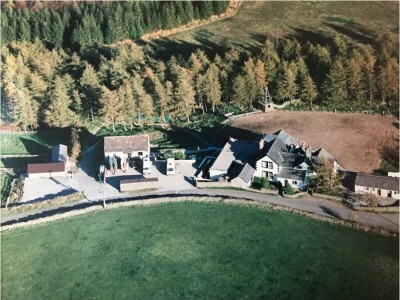 John Kinross thought that, after three years, the fees paid by visiting groups using Bendrigg Lodge would cover the running costs. However, in order to run courses for visiting groups of disabled and disadvantaged people, a fee that covered all the costs would be prohibitive. It was clear that there would always be an operating deficit and fundraising would be crucial to a successful and on-going operation. 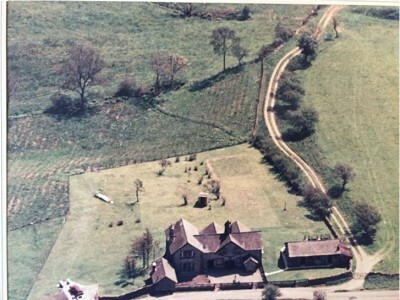 Much work was required to turn the Lodge into a suitable place for residential courses and initially there was not even a mains water supply. 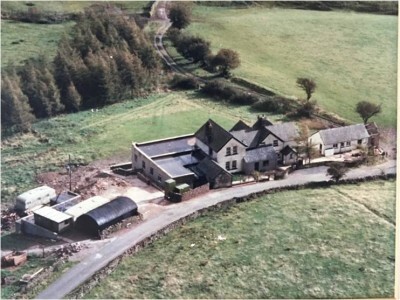 The building was ready to take residential courses in the summer of 1977, with beds for 60 people, and the ‘Northern Association for Community Care’ (NACC) was formed. To improve accommodation facilities and cater for people with physical disabilities better, a ground floor extension was completed in 1982. Thanks to the fore-thought of Trustees the foundations were made strong enough and the roof left flat to allow for a second storey to be added in time if required. 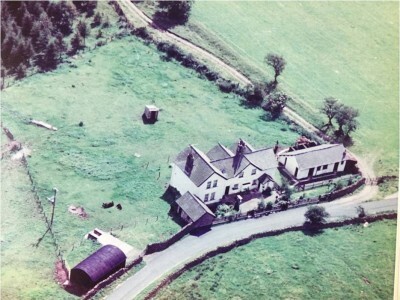 The Oakwood Annexe was completed in 1985 and allowed groups to benefit from a completely self-contained accommodation unit with it’s own toilets and showers, kitchen, lounge and dining area. The building of a new resource centre to store specialist equipment in conjunction with an accessible outdoor climbing wall provided Bendrigg with fantastic new activity facilities. 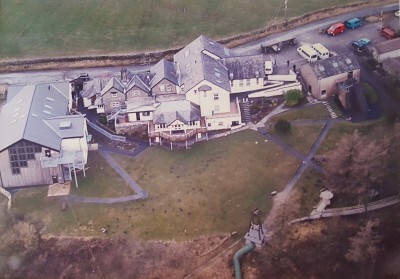 After nine years the VSU funding was phased out and in 1988, the NACC changed its name to the Bendrigg Trust. 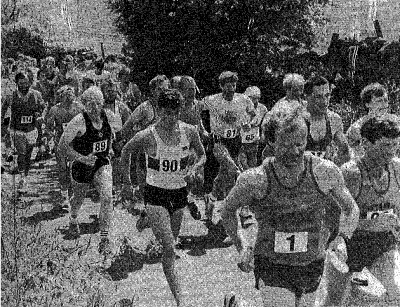 The inaugral Bendrigg 10K road race attracted 122 entries in it’s first year and was won by Sunderland Harrier, John Wheeler in 32 minutes and 50 seconds. The 10K race is still an annual feature of Bendrigg’s calendar and includes ‘Heartbreak Hill’ – the final slog up a steep incline just before the finish. In 1990 the MKCT started an endowment fund to help meet the annual operating deficit. This is a separate registered charity called the Bendrigg Support Trust. The MKCT continues to take a detailed interest in the work of the Bendrigg Trust with John and Mary’s daughter often visiting Bendrigg. The dining room was extended in the early 1990’s to provide more access and room for disabled users. The second major Lodge extension took place over four years in a number of phases and included external works to paths, ramps and balconies as well as internal refurbishment to increase the size of bedrooms. 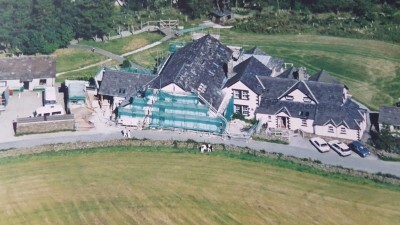 In 1998 the second floor was added ontop of the original extension to provide additional accessible bedrooms and the installation of a lift. In 2000 the new entrance was completed, finishing 4 years of major works. 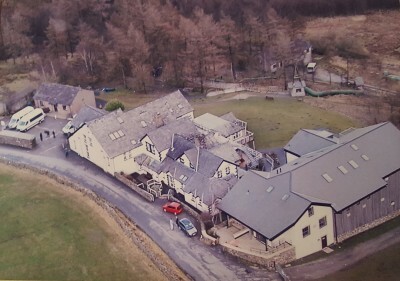 To continue increasing access to the outdoors for people with disabilities, Bendrigg bought Fell End Bunkhouse in Ravenstonedale in 2000. 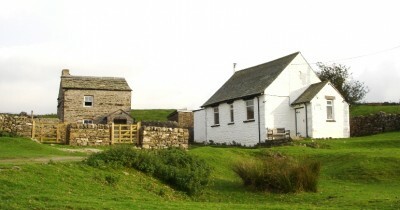 As an old converted schoolhouse, Fell End allows families, groups and individuals to stay in the beautiful Yorkshire Dales and plan their own adventures. 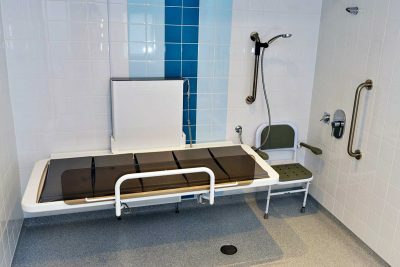 This was improved in 2006 with the addition of the next door ‘Greenslack’ building which was leased and converted to provide a wheelchair accessible shower room and bedroom. 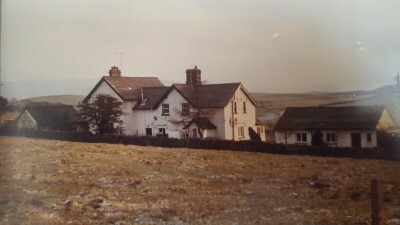 Bendrigg cannot function without the dedicated support of our volunteers and in 2001 we converted extensive loft space to create accommodation for volunteers. 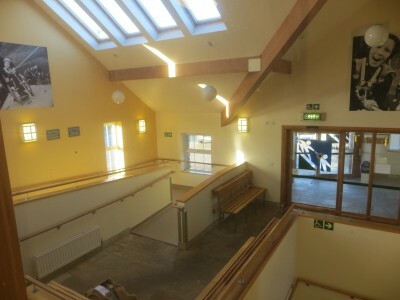 With 4 bedrooms, a bathroom, kitchenette and lounge our volunteer block can cater for up to 6 people at a time. 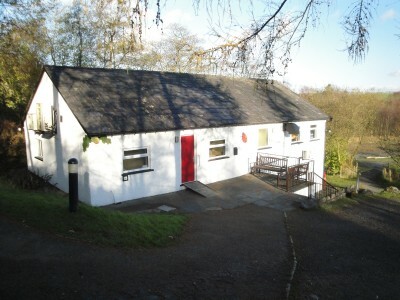 The Kinross Building opened in 2007 as is now used on a daily basis by all staff and clients to Bendrigg. With modern meeting facilities, a sensory room, sports hall, state-of-the-art climbing wall and indoor cave; the Kinross Building allows groups the versatility to continue trying new activities even in bad weather. 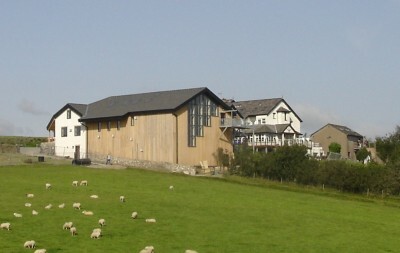 Bendrigg’s newest capital project, Acorn House, opened in May 2017. This new 24-bed, accessible accommodation replaced our Oakwood Annexe and is a flexible, state-of-the-art facility. 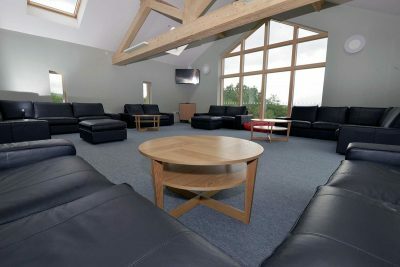 Whilst still providing groups with accommodation separate from the main lodge, Acorn House consists of a lounge, kitchen and dining area as well as a games room with hoisting and en-suite facilities throughout. As a charity we rely heavily on donations and grants, we receive no funding from the Government to keep providing inclusive adventure opportunities. If you’d like to help secure the future of Bendrigg then please consider making a donation or becoming a volunteer. Thank you.